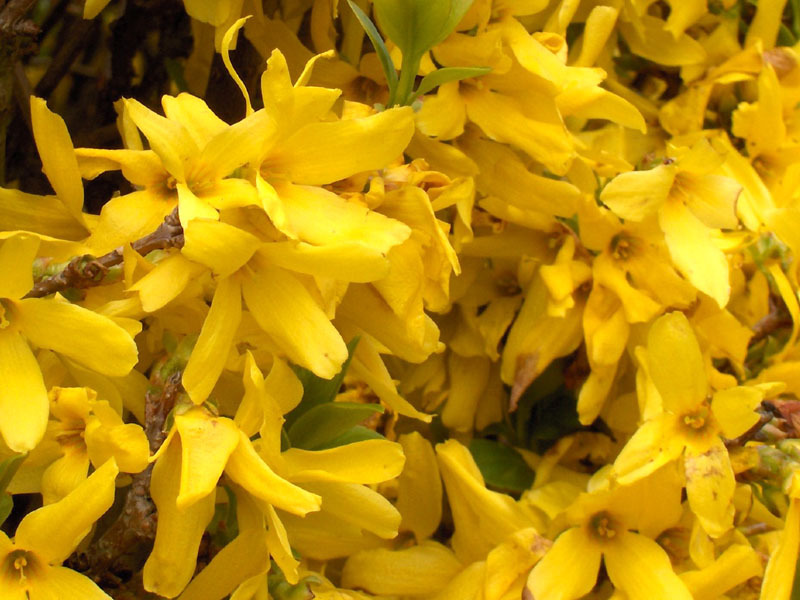 Forsythia x intermedia is a shrub to 3 m tall, colonial from root sprouts; stems arching, greenish or gray-tan, with large central pith, lenticels prominent, warty. Leaves opposite, egg-shaped to oblong, sometimes 3-parted, margin toothed, leaves expand mid-May, after blooming (Britton 1874). Flowers bright yellow, to 2.5 cm long, tubular with 4 wide petal lobes, bell-shaped, in axillary clusters along stems, early April (Britton 1874). 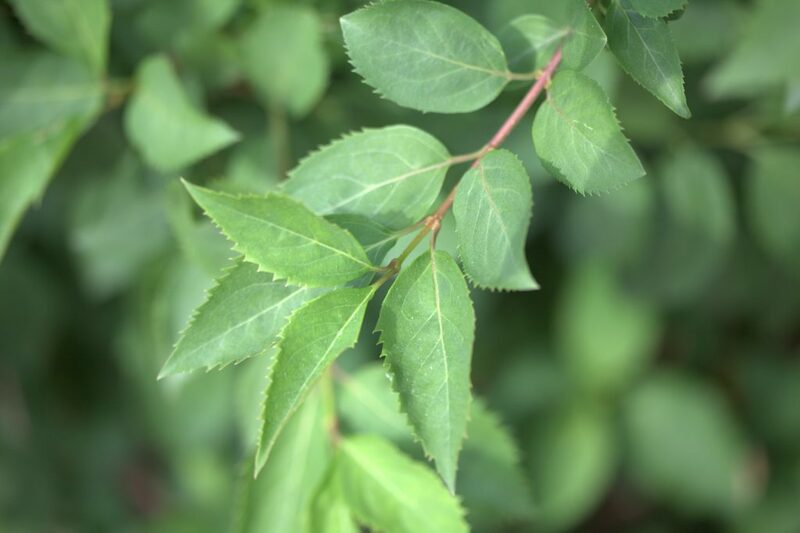 Forsythia x intermedia ‘Arnold Giant_leaves’.03.commons.wikimedia.org (Accessed 1/2017). Fruit: Usually not reproducing except vegetatively. Origin: Both parent sp. from China. Hybridized in Germany. Habitat: Old garden sites, remnant hedges or horticultural plantings. Apparently not escaping into natural areas. Somewhat shade tolerant, but not blooming well in shade. Notes: Several other species, mostly Asian, many cultivars. Included here is F. viridissima (Dirr 1990, Rehder 1986).